In the competitive cosmetics world, discerning consumers are carefully considering product purchases to determine which offer the results they are hoping to achieve. In response, the pressure on marketing and labeling teams may entice to push the envelope with regards to product claims. However, words do matter, particularly in the eyes of FDA. The manner in which labels are worded and claims are made can make all the difference in a cosmetic product inadvertently being marketed as an unapproved drug. Once a company has crossed that line, FDA takes notes and immediate changes to the marketing strategy to correct the errors or the product will be forcefully pulled from the market with potential liability risks for the company and product owners. Learn how the words used on a cosmetic label can alter the intended meaning of a claim and FDA views on them. Ensure your cosmetic products are labeled and marketed in a compliant manner, offering consumers an accurate understanding of what they can expect and protecting your products from FDA concerns. 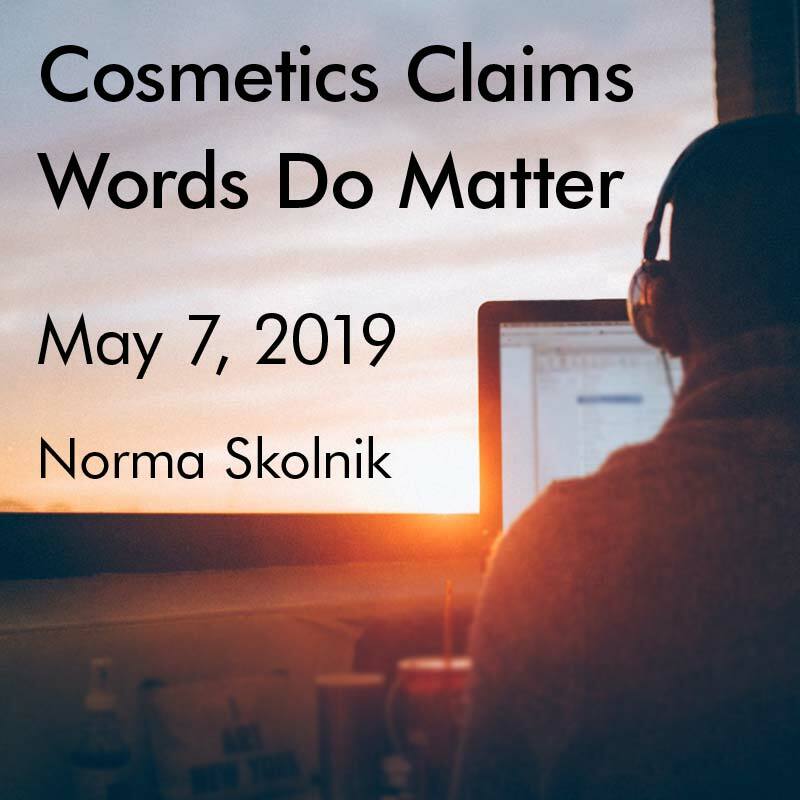 Join Norma Skolnik on May 7, 2019 for a complimentary webinar and ensure your cosmetic product labeling and claims are compliant with FDA regulations. Norma Skolnik has over 35 years of regulatory experience working with the pharmaceutical, OTC drug, cosmetic and dietary supplement industries. Prior to consulting, she served as Director of Regulatory Affairs for the Americas for Cadbury Adams until her retirement. She also held the positions of Director of Regulatory Affairs for the Adams Division of Pfizer and Associate Director of Regulatory Affairs for the Warner-Lambert company.